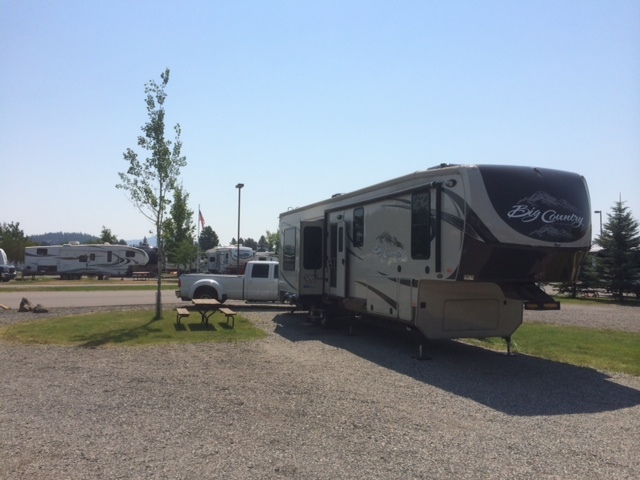 After leaving Deer Lodge, we stopped at Kellogg, Idaho and stayed in the really nice little campground at Crystal Gold Mine. 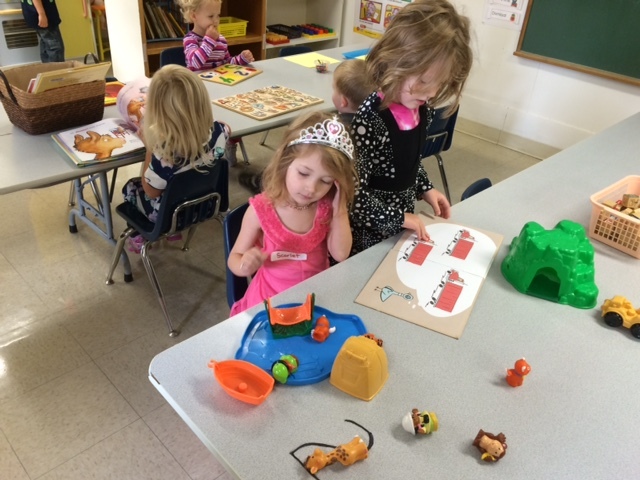 The gold mine was a fun attraction. 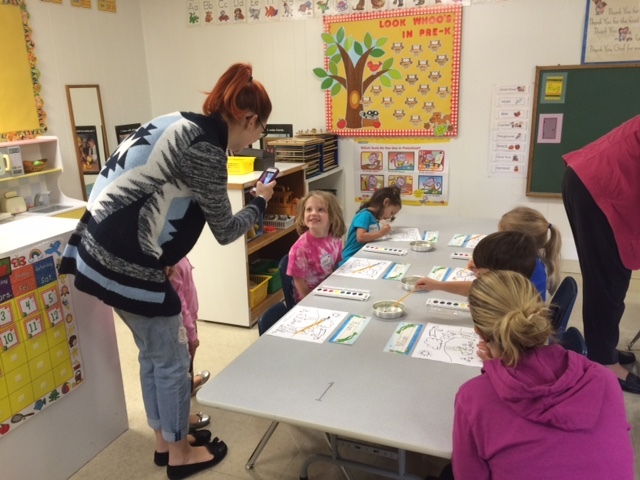 We found out a lot about the mine and how the miners searched for gold in the 1890’s when the mine was active. 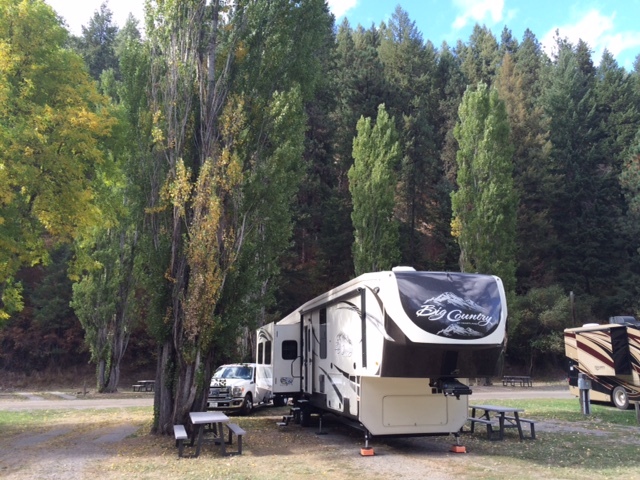 The campground was really nice, as well, with full hookups and more recently paved pads. 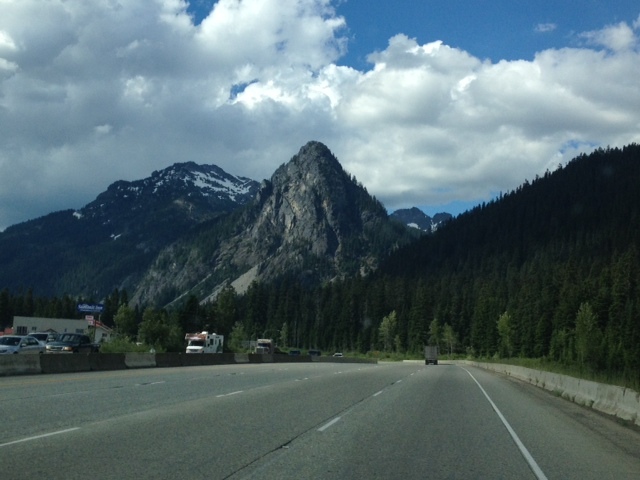 We left Crystal Gold Mine RV Park on Sunday around 9:00 am and headed west into Washington state. 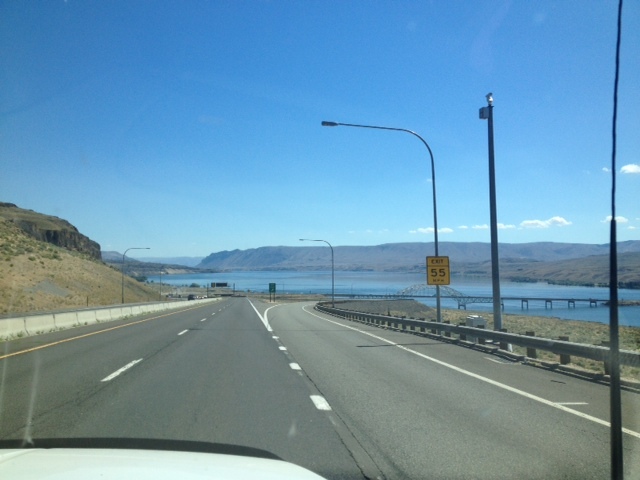 We arrived at Lake Chelan State Park about 3:00 PM, a half hour behind our daughter and her family. After getting set up, the family dropped by to greet us. Since Sunday was a partial day, we all took advantage of it and did last minute grocery shopping in town. Monday was chilly and cloudy. We tried a little swimming at the beach, but it was pretty miserable, so we decided to drive into town and walk around downtown. 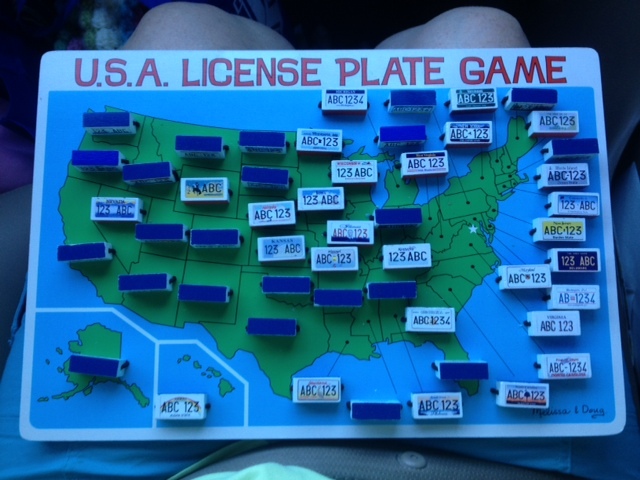 We did some souvenir shopping before heading back out to the campground. Since Monday, the weather has been more typical of the area – 90’s during the day and 60’s at night. 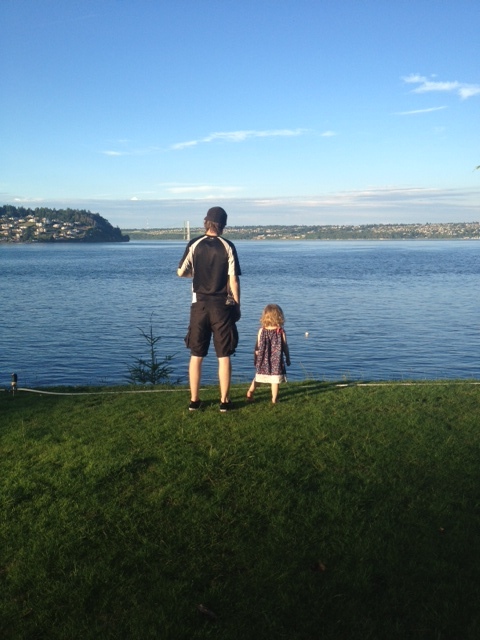 We’ve done a bunch of lake swimming, some bike riding and cooking out. Other cousins and friends arrived mid-week. 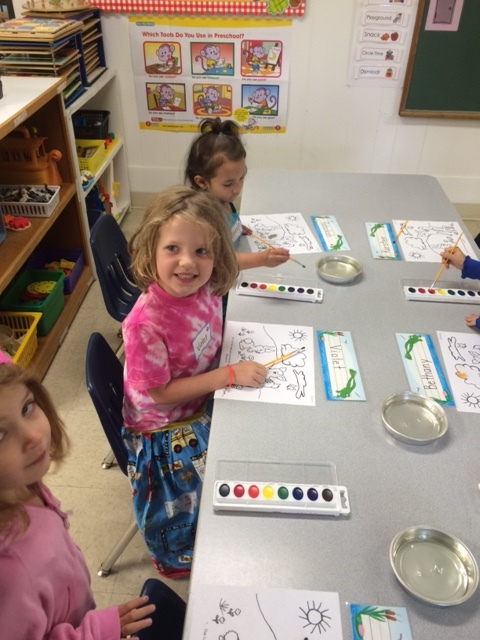 All in all, we’re having a great time and will be here until this coming Wednesday. 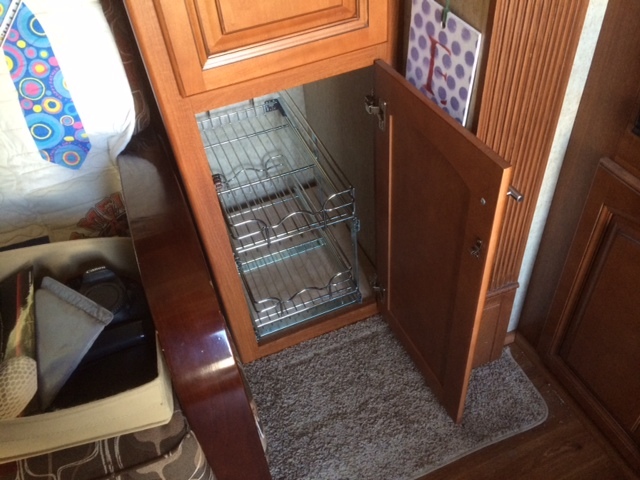 We included two locations in today’s blog post, since we didn’t have any internet yesterday at Bearmouth Chalet RV Park. We’ll start there, since it was a pretty nice park and has a bit of a story behind it. 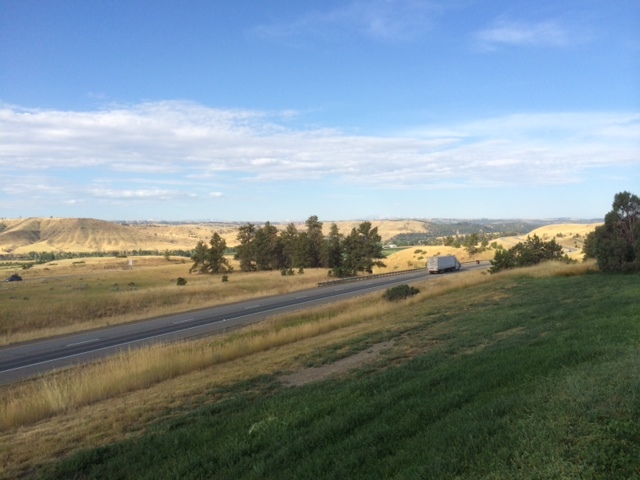 Last year, as we were heading west through Montana on the way to Washington, we took the easy road and stayed in the KOA in Deer Lodge, Idaho, using our “it’s easy enough to get a reservation on the road with the KOA website” mentality. 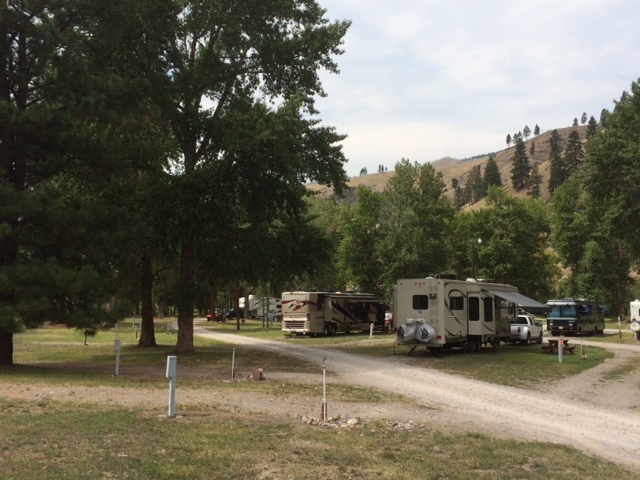 The Deer Lodge KOA was more or less a big gravel lot on the edge of town, but admittedly the folks there were very friendly. 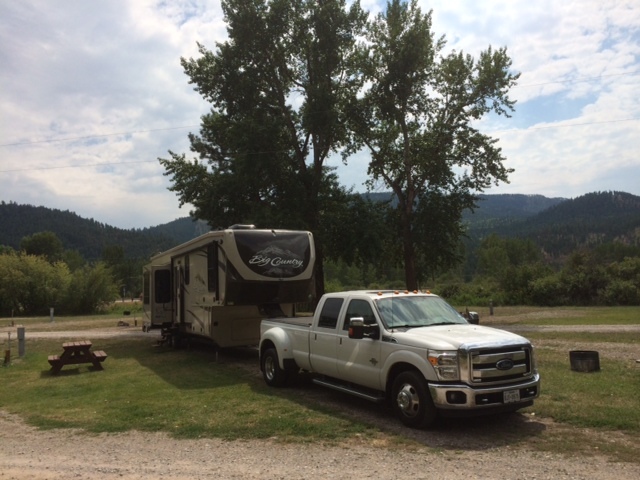 Within an hour of leaving the KOA and traveling through the mountains of Montana, we saw what looked like a really nice RV park next to a river and decided we would try to stay there if we came through again. So we did. Bearmouth is apparently under new ownership this year, so they’re making improvements to the whole park. The sites are pretty level, the power was fine, the water pressure was a bit low and there were no sewer hookups, which is fine by us. They did have a dump station that we did use on the way out this morning. Other than a general lack of internet (AT&T was showing Edge network that was OK for very light usage and we didn’t try to hook up the Verizon to try it), the place was pretty nice. You have to pay the camp host with cash (for now, anyway), but that wasn’t a big deal. The overnight rate for 50 Amp was $30. 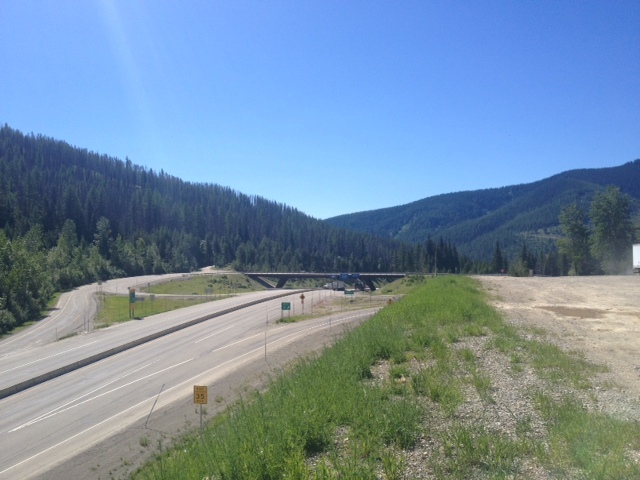 Once we left Bearmouth this morning, we had a short-ish drive to Coeur D’Alene, Idaho. 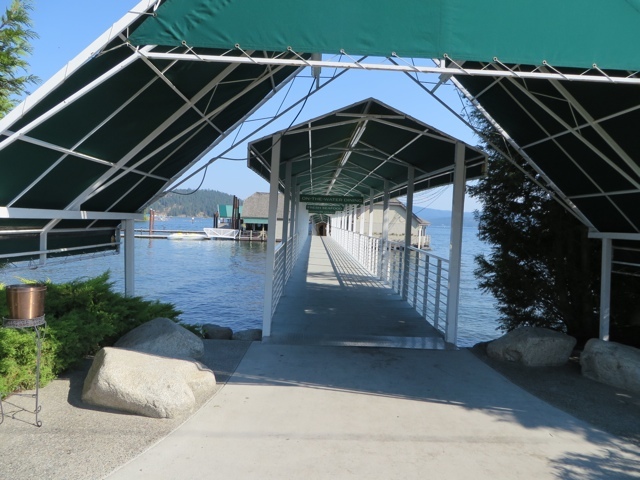 It was a good midway point between Bearmouth and tomorrow’s destination at Chelan, Washington. 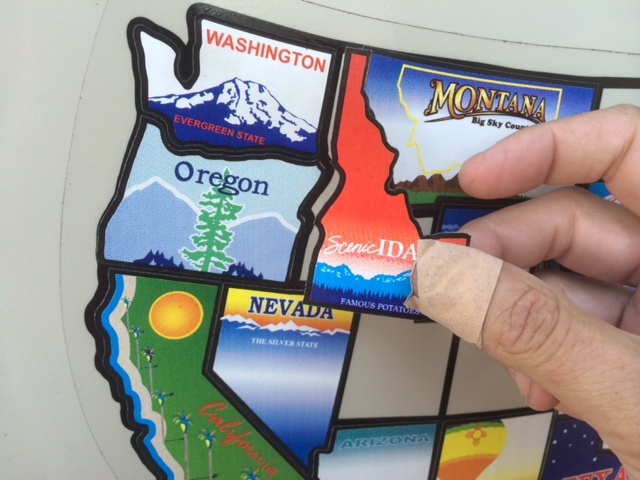 Plus, we got to put another state sticker on the map. This campground is a big lakeside resort. We took a chance at just showing up at noon and asking for a spot and we were rewarded with a nice and easy pull-through spot on the end of a row. Doesn’t look like much in the picture, but the place is pretty nice with lots of amenities. Since we were here early, we ate lunch in the trailer then headed into town to pick up a prescription for Malcolm at Walgreens. We decided to go ahead and fill up the truck while we were up that way and had to find a gas station that wasn’t full of travelers. We passed a Lowe’s Home Improvement store on the way to the gas station, then stopped in on the way back through. Val picked up a can of carpet cleaner spot treat stuff that we needed and Malcolm went ahead and purchased a two shelf pullout Rev-A-Shelf unit he had been debating for his camera and computer gear. 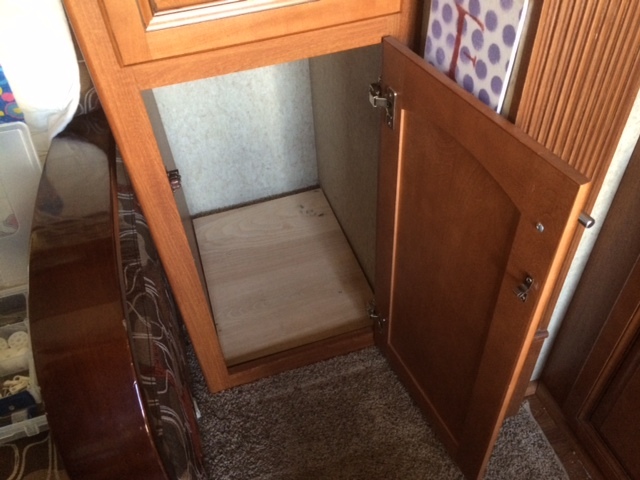 Once back at the trailer, Malcolm installed the Rev-A-Shelf unit and figured out that the fabric containers he put all his gear in were too wide for the wire shelves. We’ll have to find better containers that fit in the less-than-twelve-inch wide shelves. 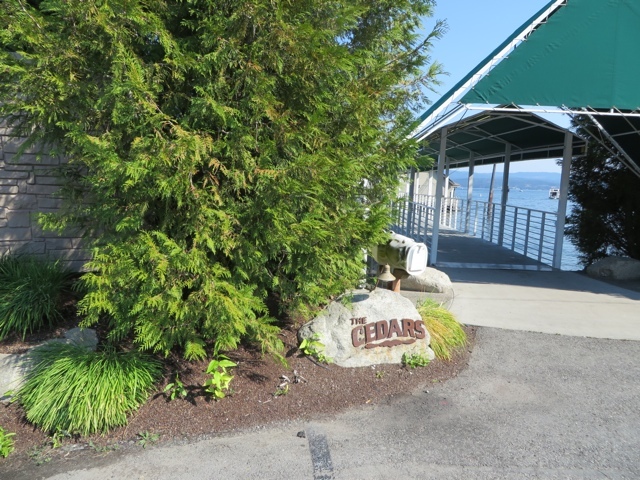 With the shelves installed, we called in reservations at the restaurant down the street – The Cedars Floating Restaurant. 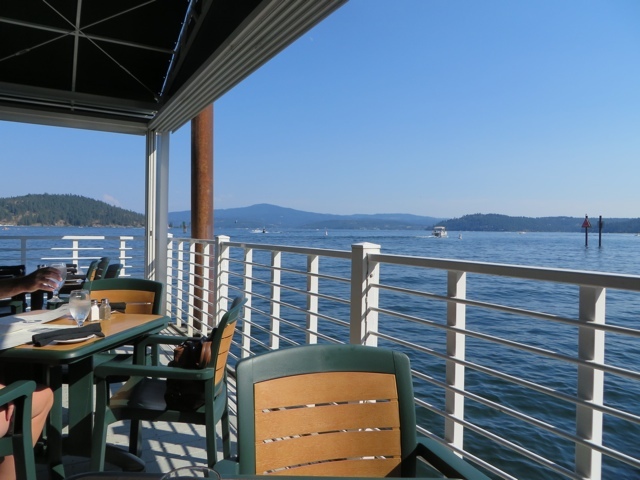 It is on the water and we chose to eat outside. The food was excellent and plentiful and we had coupons from the campground that gave us $6 off per person on bar drinks. Once we got back from dinner, we ran all our laundry at the campground laundry facility so that we’ll have plenty of clean clothes for our stay at Lake Chelan State Park starting tomorrow. That’s where we are meeting our daughter and family for 10 days. We can’t wait! This morning we were up early, awakened by the sound of birds arguing on the roof of the trailer. We’re trying to get used to the longer days up north. 5:45 AM and the sun was already above the horizon and shining brightly, after having watched the sunset colors the night before at nearly 10:00 PM. As we were loading things in the truck and getting ready to pull it around to hitch up, Malcolm noticed several scratches in the glass on the outside. We aren’t sure how they got there, but they weren’t there yesterday. They’re fairly visible when the sun is shining towards the window and one of them runs right down the center of the driver’s side right where you look out the window when you are driving. We may end up replacing a windshield while in Washington. We got all hooked up and headed out about 7:30 AM, determined to get as much distance in today as we could. That would make the trip tomorrow much shorter on into Gig Harbor. 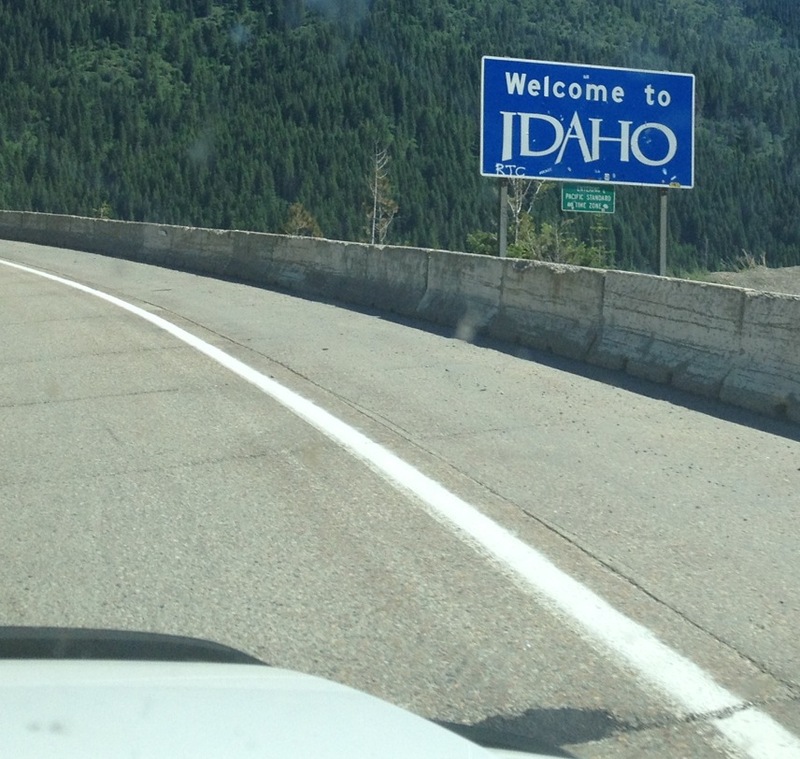 As you can see by our “current location”, we went ahead and drove the whole way in today – 587 miles. 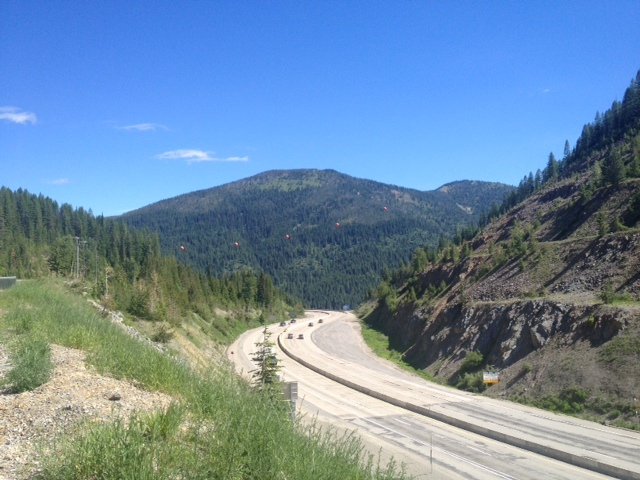 We stopped briefly at the top of the pass between Montana and Idaho to check out the scenery and stretch legs. Here area a couple of pictures from that stop. 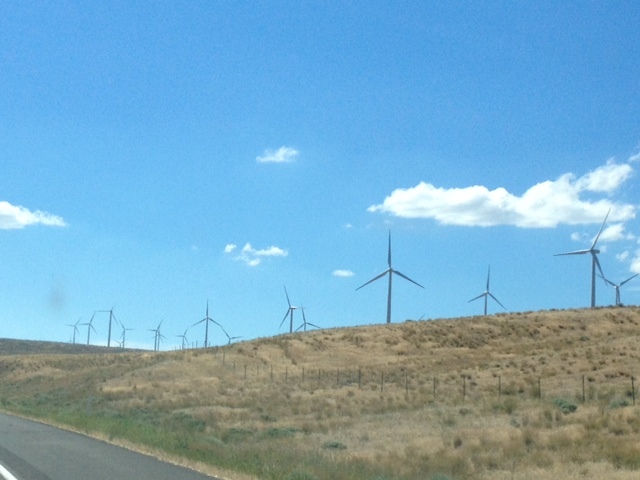 Since we were driving across the panhandle of Idaho, it didn’t take long to get to Washington state. 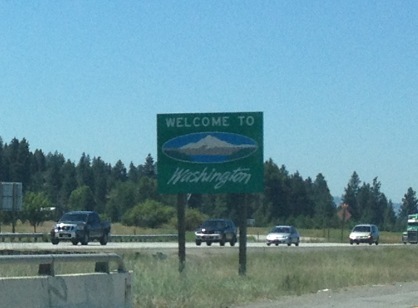 Here are some random pictures from Washington. After a stop at a rest area in Washington, we figured that it was a little over 4 hours to Seattle from the place we were and it was only about 1:00 PM. Checking the map app to see how to get to Gig Harbor without getting tangled in Friday afternoon rush hour in Seattle, Malcolm called our son-in-law, Cole, to verify that taking Washington 18 cross-country would be a viable alternative to heading into Seattle and catching I-5 south. Malcolm then called the campground to see if we could show up a day early. After checking around for available spots, they said we could come on in, but might have to move to our reserved spot tomorrow. We agreed that wouldn’t be a problem and headed on into town. As we got onto I-5 near Tacoma, traffic ground to a halt and crawled for several miles. We hopped off and filled up the truck at a Love’s truck stop. Malcolm did the fuel chores while Val and David grabbed dinner to go from the Subway in the building. We ate sandwiches as we traveled the rest of the way to the campground. Though the campground office was closed, they hang out envelopes for those arriving late to grab and park. 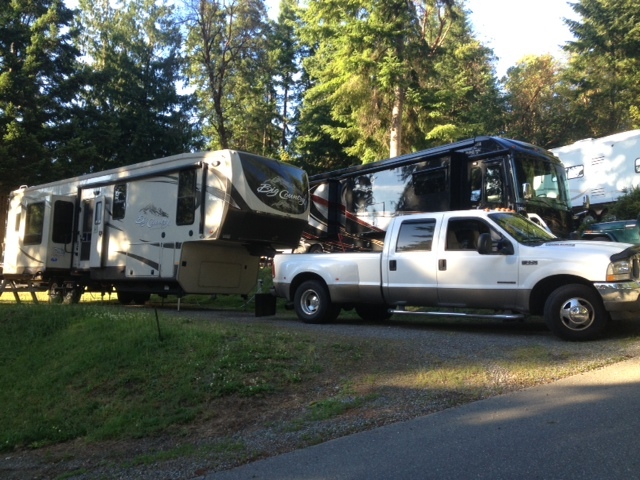 We grabbed ours and pulled through our site, doing a quick setup (unhitching, leveling, run out the slides, hook up the power, turn on the A/C and outside light). Once set up, we hopped back in the truck and headed out to Fox Island to visit our family, who is camping out there. Since it was getting close to bedtime for the grandchildren, we didn’t stay very long. We headed back to the trailer and plopped down for the night. 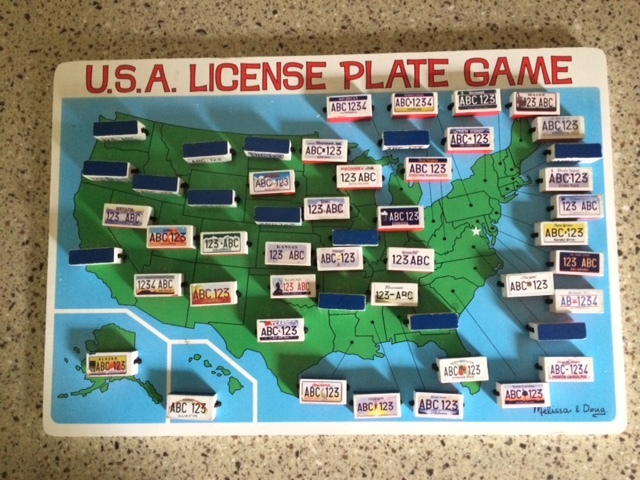 Here are today’s license plate finds – 23 of 51.